The Lincoln Stars will participate in two different preseason tournaments this September. One of which is very familiar to Stars fans, the other not so much. 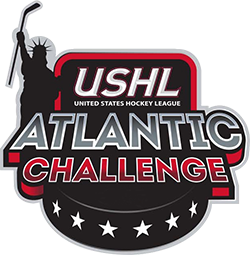 The lesser known USHL Atlantic Challenge preseason tournament had its inaugural run in 2013, and the Lincoln Stars will take part in this tournament this fall. The dates of this particular tournament are September 5-7, and it will take place in East Meadow, NY. The three other USHL teams participating in the Atlantic Challenge will be the Muskegon Lumberjacks, Cedar Rapids Roughriders, and the NTDP Team USA squad. The fact that this tournament takes place during the first week of September leads me to believe the Stars will report to Lincoln much earlier than in years past. I'm guessing that the Stars will want to open training camp in mid to late August in order to prepare for the Atlantic Challenge tournament. 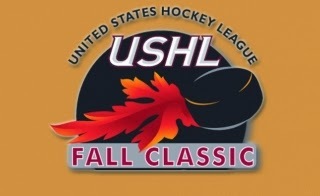 The more well known preseason tournament, the annual USHL Fall Classic (West), will take place once again at the Tyson Event Center in Sioux City, IA. I will post the game schedule of this tournament below, with the two Lincoln games in bold. I like that the Fall Classic West will take place on a Friday-Saturday, as opposed to Thursday-Friday as first announced. Having it on a Fri-Sat will allow more fans to make the trek to Sioux City and attend the event. I'm planning on attending at the Fall Classic in Sioux City, but unless I win the lottery in the near future, I will not be in New York in early September for the Atlantic Challenge tournament. So as of right now, the Stars will play 5 preseason games, unless others are added in the future. Lets hope we finally get that preseason game at the IceBox we've all been waiting for. I said something to Mickey (I think) a few years ago and she said it would be too hard to get ice for preseason game.